We have predicted Horoscope 2016 of the upcoming year so we can help you to shape your future. We hope our predictions will provide you a good guidance about your future endeavors. 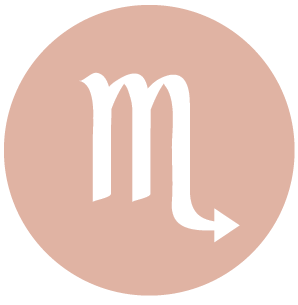 Predictions are made for almost every major sphere of your life based on your sun sign. Knowing astrology predictions help us to make our life happy and have patience during bad time. No one can change the future but at least we can try to reduce the effect of malefic planets. There are so many afflictions of planets on our birth chart which is the main cause of our problem. Our prediction will help you to identify which planet is affecting good and which is giving the bad time in year 2016. Year 2016 would be full of energy and enthusiasm for all the Aries natives. As per astrology prediction you have blessings of Lord Jupiter. If you are getting some problem to go abroad, first half of 2016 will be favorable as the lord of ninth house is in fourth and fifth house, it will also help you to keep you family life beautiful. Year 2016 is also in favor of love and marriage and also for the married couple who wishes for a baby will be blessed. Year 2016 shall bring in many changes and modifications in your career field. You can expect unwanted changes. Also you can get help from your senior and for the businessmen you can reach in new heights in your business. For student it will be hard year, you need to put some extra effort to achieve what you want. According to the position of Saturn in eighth house and Rahu in sixth house so it will help you and your family stay healthy and just take care when you make a big decision. According to the astrology prediction of 2016, this year might be lucky and happy for you because lord Jupiter is in your favor. Your future will be on right direction and put some extra effort to complete your task, which will bring you integrity and respect. But Saturn is in your seventh house so it will bring some difficulty in completing the task but if you face that difficulty and complete your tasks it will bring happiness and income in your business and family. In year 2016, Rahu is in 6th house, so in your love life you can expect loyalty and truth from your partner but if you expect loyalty you also have to be loyal with your partner. Year 2016 will be good if you are thinking of purchasing any new electronic appliances and also it will bring some good result for student with some extra effort. According to the astrology 2016 predictions upcoming year will bring favorable time. If you want to bring some pleasant time or bring some colors in your life or your loved one’s life you have to put some effort to make it happen. Year 2016 will be in favor for the one who has business or planning to start but must have to work very hard to take their business to new heights and don’t hesitate to take lead or make decision to expand your business. Complete 2016 will be good but it will be better for one who makes effort. Year 2016 will also get some good news for students appearing in competitive exams. 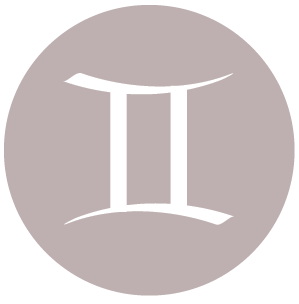 Gemini natives will enjoy good health, wealth and joy of being parents of new born baby. According to the astrology prediction of 2016 , year 2016 will be very good who are thinking about getting married or someone from your family is in the age of marriage they might have a chance that they find someone. Be very sensibly and have patience in the matter of love, otherwise you might lose someone. Year 2016 will be very good who are working hard, they might get promoted and also get chance to travel for work. If you are thinking about investing money be careful on that matter. Year 2016 may give you some trouble in health. However, it will be minor ailments which can be avoided if you be a bit careful. If we talk about students, 90% of year 2016 is in their side. You might get some opportunity to make your future better don’t miss it. Your personality and social standing will be increased in year 2016. According to the astrology prediction of 2016 Lord Jupiter is in your 1st house and Saturn in the fourth so the first half of year 2016 will give you mixed result. You will face some trouble but don’t think about it too much, facing them will increase you personality also you will get some good news. You might be get disappointed by the behavior of you loved ones, don’t hustle just be careful. Handle your trouble situation carefully because second half of the year will be in favor and almost all your troubles will vanish. Have faith in yourself. In year 2016 you will come across good career opportunity. You need to work hard if you want some extra source of income. In year 2016 your expenses will also be high and savings can be affected. you must be careful about your health and your family. Again the first half of Year 2016 will be with full of opportunity for business to grow. Student will get success after putting some extra effort. For love and marriage the year 2016 will give some mixed result so deal with the situation carefully. Don’t be disappointed if something went wrong just hold up and have some patience and deal the situation very carefully. In the second half of year 2016 Saturn in the third house, the natives will have difficulties in earning and saving. According to the astrology prediction of year 2016 almost whole year will be fine. Misunderstandings can happen in family but don’t get upset or worried as it will resolve with time. Your health in upcoming year will be good. Don’t take decision in hurry if you are thinking of investing in car or home. Love life and personal life of year 2016 will be full of sweetness filled by your loved ones. Year 2016 will be very grateful and might get you something special if you are working hard in your business or career. You also might have chances to get promoted. Year 2016 is in favor of student. You will be respected and you public support will also increase. In the second half of the year 2016, Saturn will be in second house so your expenses will rise. If opportunity is knocking your door, grab it. According to the astrology prediction of year 2016, upcoming year will take your favor but will also give you little bit disappointment. Overall year will be safe and wonderful for you. Sometime you might get some trouble because of the position of Saturn. Family health will be good in year 2016. If we talk about love matters it will be pretty delighted. But for the married couple year 2016 will bring some disturbances because of the Saturn in first house. Just keep calm and deal with the situation with utmost care. Minor Health issue because of workload can create disturbance but nothing to worry about. For hard workers good time is near also workload can be increased. Your economic situation is going to get better don’t leave hope. Student need to work hard to get the positive result. You are right if you are thinking about investing money but always be careful in matter of money. According to the astrology prediction of year 2016, starting of year will be giving you neutral result. You have to handle your financial situations very carefully because Saturn is in twelfth house. Do not panic, worry or disturbed in the financial downs just have faith in yourself and stay focused and work hard it will help you to overcome from the situation. You are the only answer of your problem. You have to be stand out for yourself because family behavior and your loved ones behavior can hurt you badly. Starting of the year 2016 will give you lots of trouble but have faith on god. Next half year of 2016 will get you some good result in work and there is possibility that you income source will increase but you have to work hard. Student who worked hard they will definitely get some good result. According to the astrology prediction, year 2016 will be filled with full of surprises. Success will be there because of your preparation. Positivity will stay around and your planning will give you result accordingly, if not then not to worry everything happens for a good reason. Money will not be an issue in year 2016. Several good opportunities are waiting for you. First half of year is in favor of marriage. Student will reach to success if they worked hard. Other half of year 2016, will bring you some trouble. Jupiter will be in eighth house so it will get some financial problems which take time to recover. You have to take control on yourself and don’t be disappointed. If you thinking about investing money please take advise and don’t hurry in investing. Don’t give up, be strong everybody knows that you are capable of making things better. According to the astrology prediction, year 2016 will have mixed result for you. Love life will give you some ups and downs. You need to improve your way of communication otherwise you might lose your loved ones. In year 2016, you will be tensed about the health issue of your family member, but don’t worry time will pass quickly. Your health will not give you any trouble. In year 2016, resolving the claims can consume your time but you are smart, you will resolve issue quickly. Year 2016 horoscope prediction says that your love life or married life is going too filled with sweetness also it will be better with time. In second half of year 2016, your hard working will give you some good result and it’s time to party because good result will increase you income. Hard work of student will lead to success. According to the astrology prediction, opening time of the year 2016 will give you joy. Blessed event at home will bring happiness and good time. Don’t get nerves or disappointment if someone talks rude. Don’t pay attention on their words. You eating ways and position of Ketu will give you some health issue so pay attention to your health. If we talk about love matters it’s not bad but not good also because of the position of Rahu. So have faith everything is going to be all right. Your driving can put you in some risky situation. In year 2016 your career will be on right path. Duties and hard work will increase, don’t hesitate just be strong and take lead. Money will take your favor it means there is a chance of increment. Student will get some positive result in first half of the year but second half will have some worries. May the Goddess and God bless you and yours in this upcoming year! 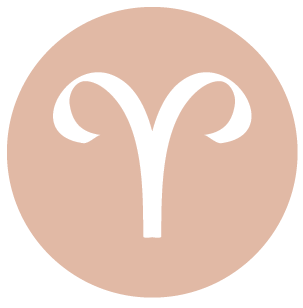 You can be responding to unusual desires and may be acting on whims today, dear Aries, or perhaps simply entertaining these things now. You are in the mood for something a little different. The Moon is in your service sector all day again today, and this stimulates a desire to set the smaller things in your life into order. 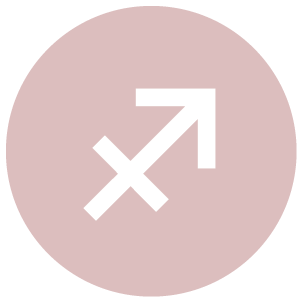 It meets with Jupiter today, stimulating your sense of joy that goes along with attending to your health, work, or routines. This will stay with you for much of 2016, and the attitude itself can attract positive circumstances as well as benefits into your life. Self-improvement endeavors can be in focus and successful now. 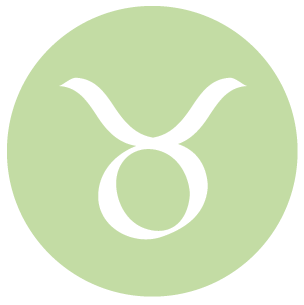 This can be a very self-expressive day, dear Taurus. You can feel quite energized this morning, and the trick will be to manage it or channel it effectively, as self-discipline may not match. There can be a restless quality this morning, and a sense that moods and desires are impermanent – you’re probably right that they won’t last long. Things tend to sort out and calm down by midday. There can be an opportunity to enjoy yourself, an invitation, or simply a very pleasant, playful mood now. Inhibitions and defensiveness tend to drop, and this can be felt as a very pleasant release. There can be animation in your domestic life today, dear Gemini. Excess energy when channeled well and into the home can point to home improvement and organization efforts, or lively family activities. By midday, you’re more inclined to slow down long enough to enjoy yourself, and to get into better touch with your deeper feelings about things. The enjoyment of family or familiar settings can be especially soothing, and in many ways, this is a general theme for much of the year ahead. 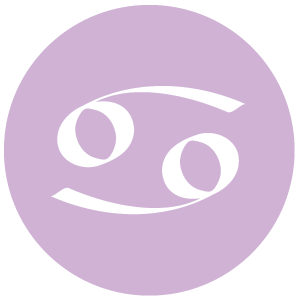 You are likely to have many ideas and plans going on today, dear Cancer, although there can be a tendency to scatter your energy this morning. Desires and whims may not last, and schedules may be overturned. Surprise elements tend to subside by midday. This is a good time to sell your ideas to others, or to present your case. You can go at mental tasks, interests, and projects with enthusiasm. You might experience a stronger desire to communicate, connect, and learn. Your curiosity can be stimulated in a most pleasant way. A problem might come to a resolution, and with it comes a nice feeling of relief. A neighbor or sibling can be supportive or a friendly gesture might be made. 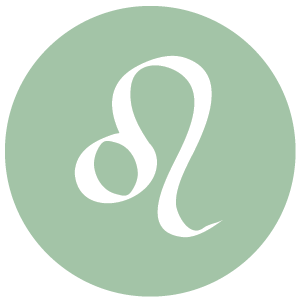 This can be a good day for pouring your energy into a project, pastime, or money-making endeavor today, dear Leo, and some may feel compelled to take care of a prized possession. It can be a very resourceful time. Impulse buying could be an issue this morning. You may be dealing with some unpredictability with a friend or lover that changes your plans. By midday, your appetite for comfort is large. You end the year with the Moon in your solar second house, putting you in a nice position to assess what you have and need, quite patiently. The Moon is in your sign again today, dear Virgo, and aligns with joyous Jupiter midday. Emotions are transparent, immediate, and clear. In some ways, this is giving you a nice taste of a theme with you much of the year ahead. You can experience an emotional release that is cleansing and even comforting. There is some tendency to switch around plans this morning, particularly related to family. Shows of independence from others may throw you for a loop at first, but they can also prompt you to find other activities that you’re just fine doing solo. You can certainly have and enjoy company today, but the less expectations you have for this, the better. Energy for you today continues to be a little insular, dear Libra. The Moon is in the sign just behind yours until very early into the day tomorrow. It’s a natural time for reviewing recent events and recharging your emotional batteries rather than for leaping into something new with a splash. A partner could be a little confusing this morning, or there could be a shuffling of plans. If possible, take extra time for yourself. The atmosphere is ripe for the unexpected and surprise elements, and you may very well be the catalyst! As the day advances, life settles a little. Shortly into the New Year, the Moon enters your sign, and emotions bubble up to the surface. Clarity is likely. You end the year feeling quite content with yourself. 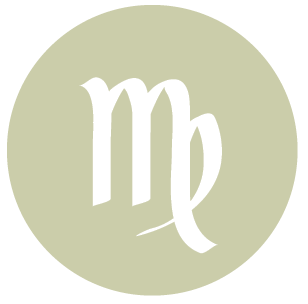 Solutions to practical problems may seem a little wild and impractical this morning, dear Scorpio, and yet they seem to work. You can whip through your chores, improve a system for getting things done, and enjoy yourself in the process today. There can be a nice feeling of belonging or acceptance with a group or friend today. A partner may introduce some surprises. Watch spending now. There is some tendency to act on whims or to entertain unusual desires now. Group activities and cooperative efforts are in focus. 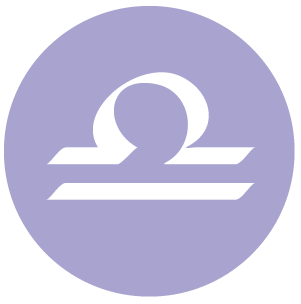 In some ways, dear Sagittarius, today is good for playing things by ear, and this kind of spontaneity is right up your alley. Changes in plans can actually stimulate new approaches and ideas, so keep an open mind. It’s a good time for intuitively understanding what others want to hear, although if you need to make a warm impression or express yourself in deep ways, this is perhaps not the time. Keep your schedule open. People may be noticing you for your contributions and your ability to meet challenges and responsibilities. 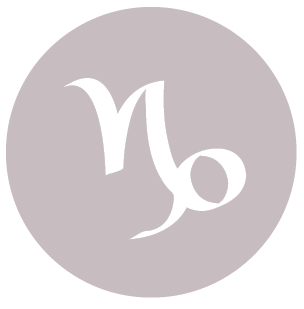 There can be a very strong desire to get away, to change the pace of your life, and to do something totally different than you usually do, dear Capricorn. 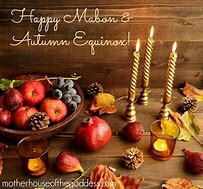 The morning’s energies are a little erratic socially, and while it’s not the best time to pour out your heart and soul, it’s a fine time for thinking of ways to make small changes in your life so that you feel more engaged and connected. There can be a nice feeling of joy and comfort in thinking about the bigger picture, long-term goals, and far-off plans. There is a positive attitude that suits the day well. The desire to get out and about or to do something different can grab hold now. There can be an attitude change or a relief/release on an emotional level. 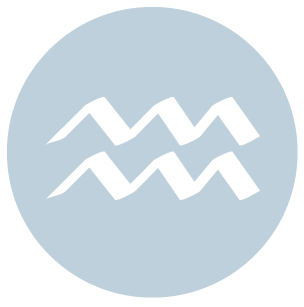 Sexuality and intimacy are stimulated today, dear Aquarius, from a more emotional perspective. Relationships can be strongly on your mind now. Some of your deeper desires can come up from within and possibly even surprise you with their intensity, but this morning, it can be difficult to discern whether the need or desire is a deep one or simply a surface whim. As the day moves forward, it becomes clearer which is which! There can be an intimate understanding or a new awareness that brings a sense of calm and happiness to your life. In many ways, this is an ongoing theme in your life for much of 2016. 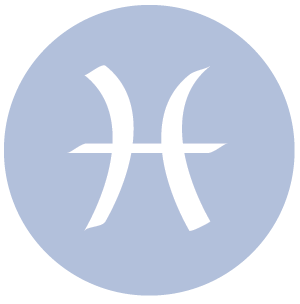 A relationship matter can come into strong focus today, dear Pisces, and, positively, you can work through a problem or deal with a matter directly and honestly. On the other hand, you might find others a little too detached or unreliable for your liking this morning. By midday, you’re more inclined to feel good about your relationships or about your “take” on them. You might benefit from a one-on-one conversation, or you might take on the role of advisor. Relationships and partnerships benefit from expansive, warm energy. Wishing You A Very Blessed & Joyous New Year’s Eve, my dear brothers & sisters! We immediately think of you. We’ll have a Happy New Year!